Huge congratulations to Michele Hryvnak Davies, Karla Porter, Mandy Boyle, and Leslie Stewart for putting on the fantastically successful first-ever NEPA BlogCon! The event sold out, and at least a hundred bloggers - some experienced, some just getting started, and some from far outside of NEPA - took part in the sessions! We look forward to adding their blogs to the NEPA Blogs roster! This event was a real eye-opener, and reminded us all that blogging is alive and well in NEPA! The next one promises to be even bigger! 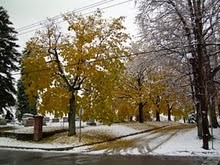 The photo above was taken in Dimock. Impressions? The rigs are bigger than they look on TV, and there weren't as many of them as I expected. It's all relative. If you feel drilling and fracking is ruining the environment, one is too many. If you work in the industry, or if you make money from gas drilling, you likely think there should be more. If you haven't seen one for yourself, they're still around. They'll probably be around for a while. Will the consequences of the natural gas industry be with us as long as the consequences of the coal industry? Time will tell. Our PA Live! 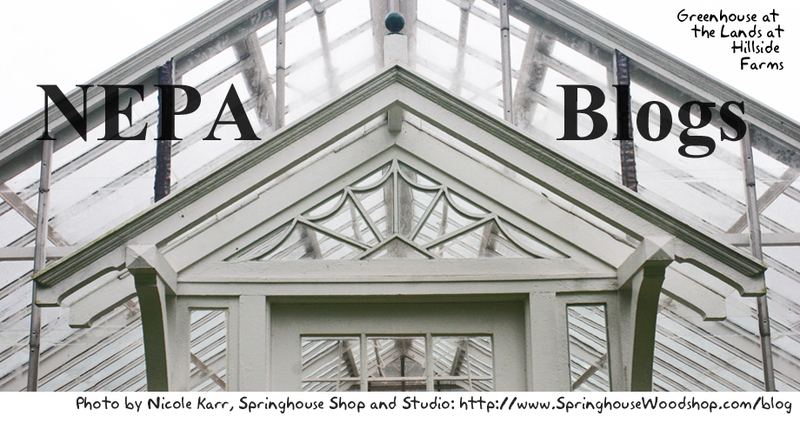 Blog of the Week this week is Bareing Skine by Rachel Dispenza (http://bareskine.tumblr.com/). Once upon a time, in the days before the internet and blogs, creative people with opinions still wanted to find a way to express themselves and share their thoughts with the world. Out of the pamphleteers of old came the idea of "zines": home-made, hand-made, self-published magazines, usually photocopied and stapled together and distributed free or for a small price. Zines had a heyday in the late 1980's, but faded away somewhat as the internet offered other ways for people to express themselves: user groups and bulletin boards, later blogs, and then things like MySpace, Facebook, and Twitter. But starting a few years ago zines started to make a comeback as people began to embrace this lower-tech means of expression that had a real presence in the bricks-and-mortar world. Blogs could be edited and posts deleted, but once a zine was in someone else's hands there was nothing you could do to change the content. The Scranton Zine Festival is an annual event held to bring zine creators from all over under one roof. On the event's blog they list the participating creators and publishers who will be sharing their zines there, with links back to their personal websites or blogs. One of those was Rachel Dispenza of Tunkhannock, creator of the zines Progression and Progression: Part 2. On her blog, Bareing Skine, Rachel shares sample pages from her zines, as well as some of the behind-the-scenes stuff that goes into making them. She also provides links to places where you can buy the few remaining copies of the last print runs of her zines. In the sample pages you can see the striking combinations of images and words that make up every page of her zines. Reading these zines can be a gut-wrenching experience, and Bareing Skine can help to prepare you for it - or it can set you up so the emotional impact is even greater. Bareing Skine and the related zines, Progression and Progression Part 2 remind me of an incredible bit of experimental literature from the 1970's, Joseph Pintauro's The Rabbit Box. If this blog and these zines are any indication, Rachel Dispenza is someone whose works may someday make a huge impression on a broad audience. Progression Part 3 is in the works, and you should definitely check out Progression and Progression Part 2 while they're still available. Visit Rachel's blog, Bareing Skine, and get a taste of what her zines have to offer! 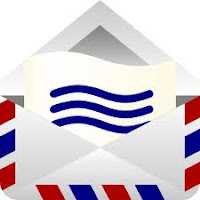 From the mailbag this morning, we have a new blog offering out of Monroe County. It is called "Mug Mouth". My name is Jay, I live in Stroudsburg, PA, and I have a crime blog. I was wondering what I have to do to get listed on NEPA Blogs? The site address is http//:mug-mouth.com. Any information you could provide would be helpful. They say a picture says a thousand words. Sometimes that is not enough, and that is were I come in. Over 2 million people are incarcerated in the United States. All of those people have had their mugshots taken. I am going to make fun of all of them one mugshot at a time. Please enjoy this page and take it for what it is worth… nothing. Mug Mouth was the brainchild of months of Facebook posts identifying and then analyzing interesting mug shots from around the country. After encouragement from friends and family, Mug-Mouth.com became a reality. It's an interesting concept and the first blog of it's kind in this area. It kind of reminds me of The Smoking Gun website. Head on over and check out Mug Mouth, and get a chuckle at a criminal's expense. The Fall 2012 edition of Blog Fest will be held tonight at Rooney's, 67 South Main Street in Pittston starting at 6:00. All are invited to meet and mingle with local bloggers and local politicians! A year ago many Northeastern Pennsylvania communities along the Susquehanna were just taking stock in the aftermath of the worst flooding since Agnes in 1972. In some cases the flooding was worse than even that, as structures that survived the flood of 1972 and all the other floods before and since were damaged beyond repair. First National Bank in Shickshinny, purchased just a few months earlier by Wells-Fargo, was one of those structures. While less-sturdily-built structures all around it were declared salvageable, Wells-Fargo decided to write off the landmark bank building as a total loss. A little more than six months after the flood, Wells-Fargo had the building torn down. Where it once stood, surrounded by banners proclaiming Shickshinny's 150th anniversary celebrated just a few weeks before the flood, there is now an empty lot with an ATM, a concession to the banking needs of the people of Shickshinny. Do you have an image that captures some aspect of Northeastern Pennsylvania you'd like to share? Send it to us at nepablogs@gmail.com and we'll post it as our header for a week! Nikki Mascali is a writer. Not just professionally - not just someone who earns her living by writing. No, a writer is someone who cannot not write, who is compelled to write something, somewhere, every day. Nikki is like that - which is where the phrase "Ink for Blood" comes from. Nikki's blog is about writing: her adventures as a professional writer, the novel she's working on, her writing goals, snippets of interviews, and even reviews of things she's read. Nikki is also a professional writer, and she wrote the definitive articles on the Spring 2012 Blog Fest and the first-ever Pecha Kucha Night in Scranton for the Weekender. She also has another blog called Run, Nikki, Run on her "journey to become a runner – or, at the very least, an exerciser again." Not everyone can write. Not everyone is called to be a writer. Not everyone is driven by a passion to write every day, a compulsion to write that cannot be ignored. But Nikki Mascali is. That's what she does. And that's what she blogs about on Ink for Blood. What's your passion? Do you want to share it with others? Share it with the world? If you do, a blog is an excellent way of communicating your passion. 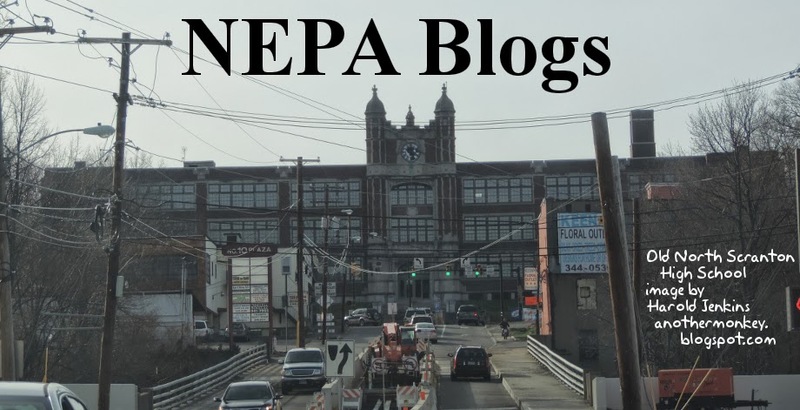 Check out all the blogs at NEPA Blogs and see who might share yours - and then consider starting a blog of your own! UPDATE: Since I first wrote this, Nikki has accepted a position in New York City. While this has forced her to leave her position at the Weekender, she intends to keep her current blogs going - and has even added a new one, Nikki & New York, that documents her experiences there! I received a Facebook message from Scott Carey about a new blog venture he is starting called "Doom Nation". Scott is a friend, my former manager's son, and a blogger! You may remember his last project, the (now defunct) Old Soul Swagger blog. "The Saddest Place on the Web"
I am launching a blog called Doom Nation (doom-nation.com). It's basically all about doom metal, sludge metal, stoner rock etc... I am planning to do a soft launch this week but my full launch on October 1st. Can you please add me to the NEPA Blogs list? I started Doom Nation to supply lovers of somber slow jams with an arsenal of doom metal, sludge, drone, post rock and all other styles of gloomy tunes. Although news and press will be posted, this site is not intended to be an all out news or press release site of the genre. I want this site to be a place where all fans of doom metal can connect and ultimately discover new music. I dub this site “The Saddest Place on the Web!” because at the end of the day my readers will know that Doom Nation is THE place to discover and explore the melancholic side of music. PS – I hope that you will continue to come back again and again to get lost in the spaces of music with me! If you are looking for a great blogger networking opportunity and learning experience, I suggest you check out NEPA BlogCon on 9/29/12 at LCCC. Scott will be there and looking forward to chat with you about your blog, as will I! Tickets are $65.00 until the day of the event, but use code nepablogs to save $20!!! It was so much fun the last 5 times we are doing it again. Since its inception two years ago, Blog Fest has been described as the best political event of the season. . No speeches are allowed, and the rule is "agree to disagree, but don't be disagreeable." Many local and statewide candidates will be attending. 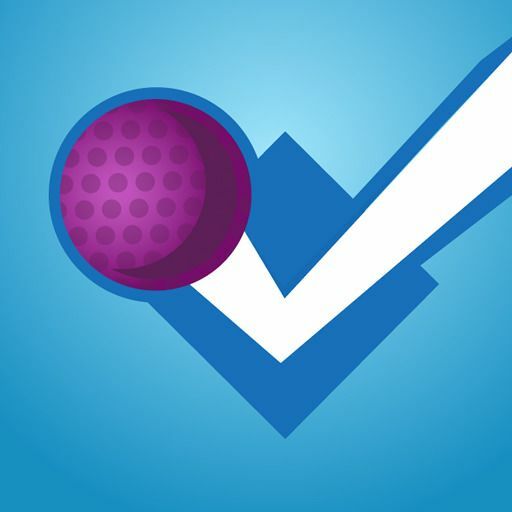 Also -- we created an event check-in point on Foursquare. Don't forget to check in! We received the below press release in our inbox this week. You may remember from a past post that Mark Mysterrio is a local blogger and a birthday magician! Help him give back to the community by reading on. Magic and More Entertainment announced today that magician Mark Mysterrio will be supporting the American Cancer Society with a mixture of community centered events through out the year. Mysterrio who already holds the world record for lying on a bed of nails and the most playing cards used on stage has made a choice to support the ACS through his shows and by starting his own Relay For Life Team. The relay team is called Mark Mysterrio’s Million Dollar Producers and their goal is to raise one million dollars to help in the fight against cancer. Mysterrio formed the team this year in part because of the lost of his brother in law, Mark A. Circelli to brain cancer during National Magic Week in October. Mysterrio’s sister, Virginia Circelli is co-captain and will help Mysterrio head up this year’s team. “I have lost my mother and brother to cancer and now my brother in law. Forming this team is a great way to ease some of the pain that we are feeling as a family and it helps the local community too. Cancer is a big disease in our area. Everyone knows someone who has been touched by this disease and we need to do what we can to put an end to this disease. If we give it the dedication that it takes to lay on a bed of nails for 283 hours and 5 minutes, we can find a cure in the near future.” Mysterrio said. Mysterrio will be giving a percent of the money raised from his shows to the efforts as well as doing charitable work for the Relay for Life team. The team will be doing some very unique fundraisers including an upscale dinner, flamingos on the lawn and several others. Mark’s all new family orientated show opens November 2-17th at The Shawnee Playhouse and portions of those ticket sales will go to aid Mark Mysterrio’s Million Dollar Producers Relay for Life Team in their efforts to raise one million for the ACS. You can dedicate a luminaria in memory of a loved one and you can join Mysterrio's team all from the same page. 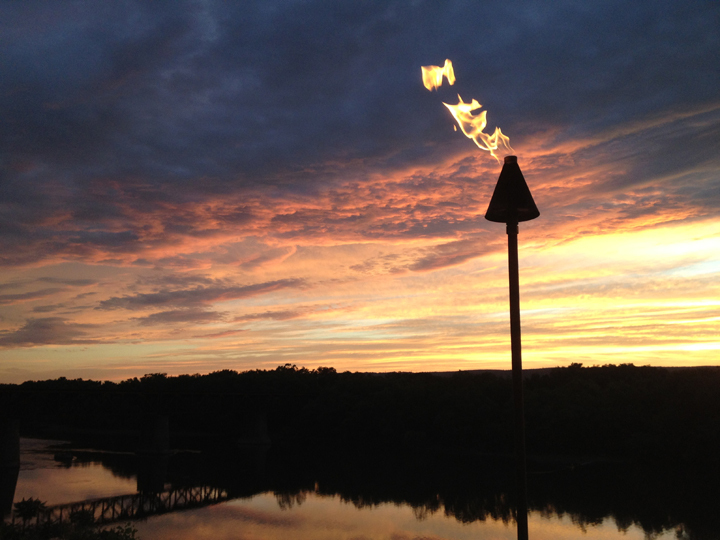 The header image for the week of September 12 - September 18 is courtesy of co-administrator Michelle Hryvnak Davies. She took this photo of a tiki torch silhouetted against a spectacular sunset at the River Grille in Plains the night of the NEPA BlogCon website launch party. 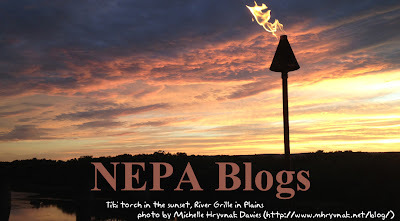 Do you have an image from somewhere in NEPA that you'd like to see featured as the header on NEPA Blogs? Send it to us at nepablogs@gmail.com! Our PA Live! Blog of the Week this week is Not Cease From Exploration by Stephen Albert ( http://www.sgalbert.com/). Not Cease From Exploration is Stephen Albert's personal blog, and on it he explores any topic he pleases. In his own words, "On this site I write about whatever I want, whenever I want. I don't attempt to be profound, insightful or interesting. I simply attempt to be me, expressing whatever I happen to be feeling at whatever moment I chose to write." This is blogging in its purest form. It is not blogging with a political agenda, beyond Stephen's personal views on politics. It's not there to promote a business or a cause, unless Stephen chooses to do so. Each post is about whatever Stephen wants it to be, and goes in whatever direction he chooses. 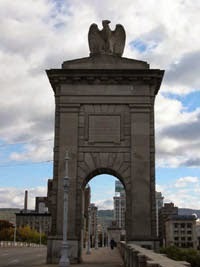 His blog topics have covered everything from 9/11 to Wilkes-Barre, alphabetically at least, but touch upon topics relevant to Northeastern Pennsylvania in particular and the world in general. There are plenty of blogs out there about a single topic. Politics, sports, movies, music, shopping, parenting. There are blogs out there to promote a business or a product, or to promote an individual professionally. Not Cease From Exploration is none of these things. By posting about the topics that he chooses, Stephen presents a blog that reflects himself as a person. Blogs like this were once the norm, but have become fewer and farther between as more and more people choose to present their thoughts in the cocktail-party environment of Facebook or the crowded subway terminal that is Twitter. Give Not Cease From Exploration a read and see what Stephen Albert has to say about a lot of things. Maybe you'll agree with him. Maybe you'll want to leave a comment. Maybe he'll make you want to start a blog of your own. If you do, let us know, and we'll be sure to list it on NEPA Blogs! Hi, I am the owner of Lacey's Barkery, we are located in Old Forge, PA I was just referred to your site by Dawn Miklich (Blogger, afFURmation and Pet Product Review) and was told about your 1 day conference at the end of the month at LCCC. We are a dog bakery that sells healthy homemade human grade dog treats and dog birthday cakes. The treats and cakes are 100% safe, healthy, and made with love straight from our kitchen. We also just started a blog a couple weeks ago. It features the latest health and dog information from one location with a collection of bloggers and professionals in the pet industry. I was hoping that I could get listed on your blog. I don't have much local business and I would to get some more in the area most of my orders comes via google search. Here's a brand-new blog. I know it is, because I just finished getting it in shape! The Northeastern Pennsylvania Writers' Collective (NEPWC) is an open writing group that will be meeting at the new location of the Vintage Theater (now known as The Vintage) at 326 Spruce Street in Scranton every Saturday from 1 to 3 PM. (We used to meet at the old Vintage Theater from 12 to 2, and then did the same at the Northern Light Cafe during the transitional period.) Membership is free, and new members are always welcome. While the design of the blog may change over the next few weeks, for now it lists announcements, writing prompts, and general information about the NEPWC. I've also added a set of links to other related sites, including the NEPWC Facebook page, the website and Facebook page for The Vintage, and blogs belonging to other local writers and writing groups. I'd also like to add writing resources to the site as recommended by members of the group. If you're a writer in NEPA who would like to participate in a writing group, the Northeastern Pennsylvania Writers' Collective is a great choice! Check out the blog and consider joining us! Wowzers! I just found out yesterday that a blog I've been following for years is semi-based in Northeastern Pennsylvania. Can you believe it?! 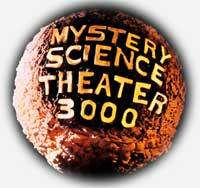 Satellite News is the official fan-based blog about the now-defunct TV show Mystery Science Theater 3000. It is endorsed by "Best Brains Inc." the entertainment company that produced the series, but the content is solely independently written. Fans all over the globe use this as their "go-to" guide for episode summaries, information about the cast and crew, and events that happened in the history of MST3K. Yes - even me! I'm a big sci-fi movie nerd especially when they are are awful and being made fun of. The authors are Chris Cornell and Brian Henry. In a recent conversation through Twitter, I found out that Chris Cornell resides in NEPA and is planning to attend NEPA BlogCon. Yay! Here's a picture I took this weekend at Hillside Farm in Shavertown. It's got the flowers in the foreground and greenhouse in the background. I thought it'd be a great photo for the header image because it's a) pretty b) got a nice focus (if I do say so myself), and c) concentrates on the greenhouse at Hillside, which is often overlooked. 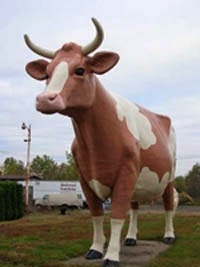 I think when people think of Hillside Farm, they probably think of the ice cream and/or the animals. 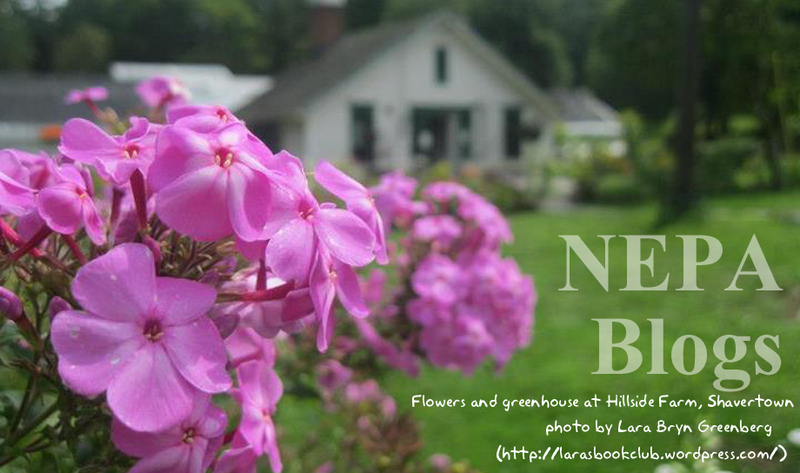 This isn't the first time a greenhouse at Hillside Farm has been featured as the NEPA Blogs header image! We also used an image from Nicole Karr last October - you can see it here. See how two different photographers can approach the same setting and photograph elements of it completely differently! What about you? 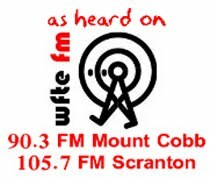 Do you have your own view of things in Northeastern Pennsylvania? Send us a photo and we'll feature it as the header on NEPA Blogs! Our PA Live! Blog of the Week this week is NEPA BlogCon (http://nepablogcon.com/). A few months ago a group of local bloggers came together with an idea: They wanted to create a blogging convention for Northeastern Pennsylvania. 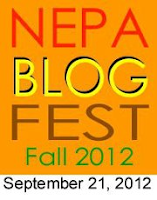 Not just a variation on the NEPA Blog Fest (coming up on September 21), which is an informal gathering of local bloggers that also serves as a politician/blogger mixer. The NEPA BlogCon, scheduled for Saturday, September 29 at Luzerne County Community College in Nanticoke, would be a full-fledged convention, with presentations and featured speakers and educational sessions, all focused on expanding and improving the skills of bloggers throughout Northeastern Pennsylvania. The four bloggers behind the NEPA BlogCon are collectively known as the "Fearsome Foursome": Michelle Hryvnak Davies (the co-administrator of NEPA Blogs who also has a personal blog here and posts photos of sunrises here) , Karla Porter (who has a professional blog here and a personal blog here) , Leslie Stewart (of Darling Stewie fame! ), and Mandy Boyle (writer, marketer, and SEO team leader at Solid Cactus, who blogs here.) 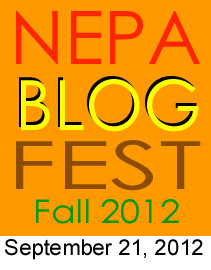 With that much blogging power behind it, naturally the NEPA BlogCon needed to have a blog of its own! 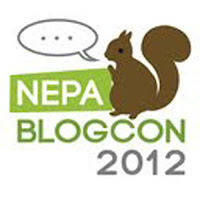 The NEPA BlogCon blog disseminates information, provides updates, and keeps a record of everything that goes into making a regional blogging convention. 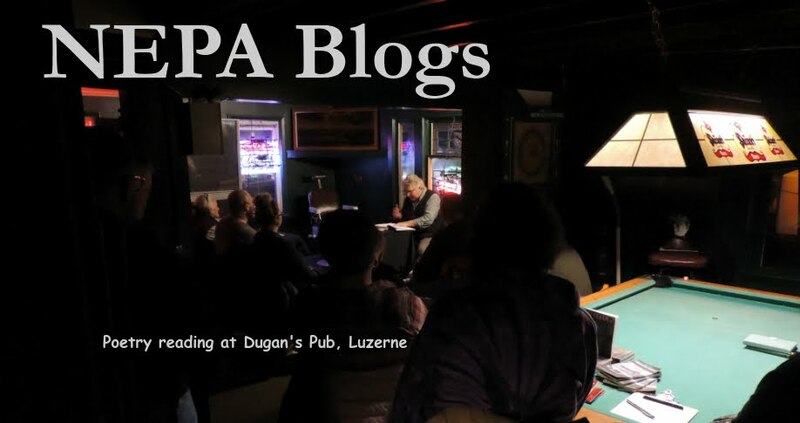 The NEPA BlogCon blog is more than just this: it's also a vital resource for bloggers, asking questions, sharing advice, and providing insight into the blogging experiences of the members of the Fearsome Foursome. Expect the level of information to go way up as the date of the NEPA BlogCon approaches. And if you haven't already, make plans to attend! The first NEPA BlogCon will take place on Saturday, September 29 from 8:00 AM to 5:00 PM at Luzerne County Community College, Campus Building 7 in Nanticoke, PA. For more information and to buy tickets, please visit here. Note from Michelle - Use Discount Code "nepablogs" at the ticket checkout to receive 20% off of a normal ticket. HURRY! This code is only good through September 10th! The Artists for Art Gallery in Scranton has a blog! AFA’s mission is to foster an appreciation of the visual arts, to present the visual arts to the NEPA region and to provide support to regional artists. The afagallery blog is not limited to events at the AFA Gallery, but also posts about shows and events at other regional venues, including the Blue Heron Gallery, the Sordoni, the Butternut, and ArtWorks. Northeastern Pennsylvania has a remarkable art scene, and is home to more artists, writers, poets, musicians, performers, and craftspeople than the daily headlines would lead you to believe. Check out the afagallery blog for a taste of what's out there! The AFA Gallery is located at 514 Lackawanna Avenue in Scranton. Their hours are Thursday through Saturday 12:00 PM to 5:00 PM. You can also check out the Artists for Art webpage at http://artistsforart.org/.